Coors Lite driven by Stirling Marlin and campaigned by Ganassi/Sabatis racing. In 1982, Coors products began reaching a larger portion of the U.S. and to augment its new national reach, the company chose to sponsor Al Unser Jr�s Indy Car�the company�s first venture as a national player in "big-time" auto racing. In 1983, Coors opted to parallel its product introduction into the Southeastern U.S. by entering into a multi-year sponsorship agreement with Winston Cup driver Bill Elliott and owner Harry Melling. That relationship lasted for nine years (through 1991). The Melling Racing Team, with Coors� sponsorship, found success, especially at Daytona, with multiple wins in the Daytona 500 (1985 and 1987) and Pepsi 400 (1988 and 1991). Elliott also won the Winston Cup Championship in 1988 and the coveted Winston Million in 1985 with the Coors sponsorship. After the Melling relationship ended, Coors, in 1992, struck a two-year agreement with Roush Racing and driver Wally Dallenbach Jr. through its Keystone (brand) beer. The company took a year off from motorsports in 1994 before inking the multi-year deal with Team SABCO of Mooresville, N.C., and driver Kyle Petty, both of whom would sport the Coors Light logo. In 1996, Petty and Team SABCO mutually agreed to part ways. A short time later, CART Indy Car PPG World Series driver Robby Gordon was named to replace Petty in the No. 40 Team SABCO/Coors Light Chevrolet Monte Carlo. Gordon left the team in late 1997 after 20 races to once again pursue open-wheel racing. This left the door open for driver Sterling Marlin to take over the reigns of the No. 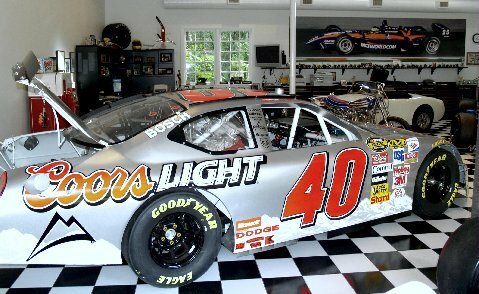 40 Coors Light car. For the next eight seasons Sterling Marlin piloted the No. 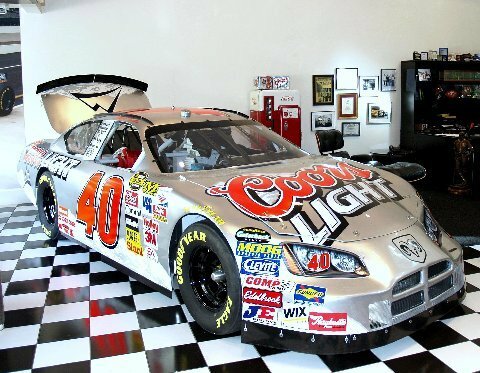 40 Coors Light car.After joining the team in 1998 he wasted no time earning his first checkered flag in the Gatorade 125 qualifying race at Daytona International Speedway.In 2001, Marlin continued Coors� history of success in NASCAR, capturing wins in three races. In 2002, the No. 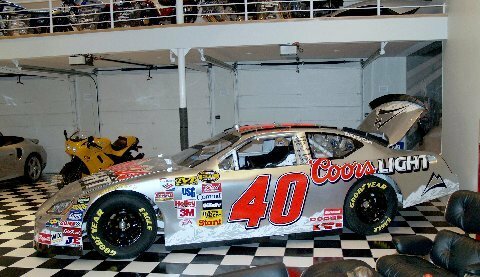 40 Silver Bullet entry continued their record breaking pace.Marlin lead the championship points standings for 25 consecutive weeks before having to sit out the remainder of the season due to a neck injury.Chip Ganassi Racing with Felix Sabates (CGRFS) 2003 recruit, Jamie McMurray served as a substitute for the injured Marlin and won his first NASCAR race in only his second Winston Cup start.McMurray currently holds the modern era record for winning his first race in the shortest number of starts. In 271 starts over eight seasons in the Coors Light Dodge Marlin had four wins, two poles, 27 top-five and 63 top-10 finishes.